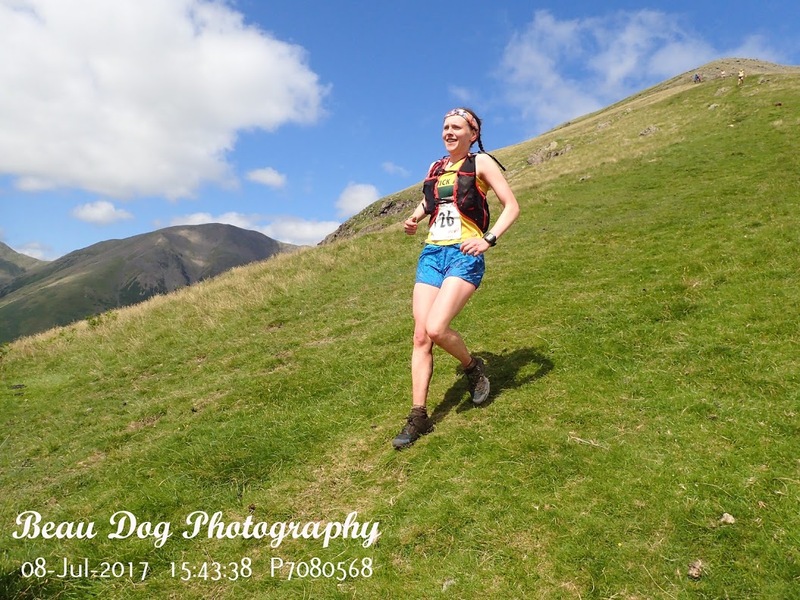 Saturday 8th July saw more great results for KAC at the demanding Wasdale Horseshoe fell Race. This was an English Fell Championship counter as well as being one of KAC Club Fell Championships. 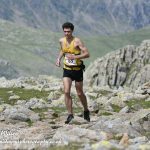 If you don’t know it, this is a very tough race over21 miles with 9000 feet of ascent and, for once, run in almost perfect conditions weatherwise. 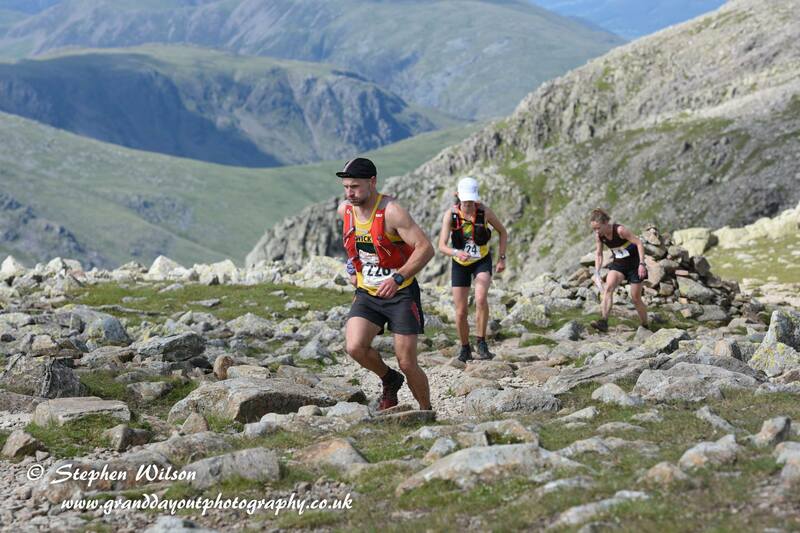 Our men were there in force as ever hoping to clinch the English Fell title and THEY DID!!!! 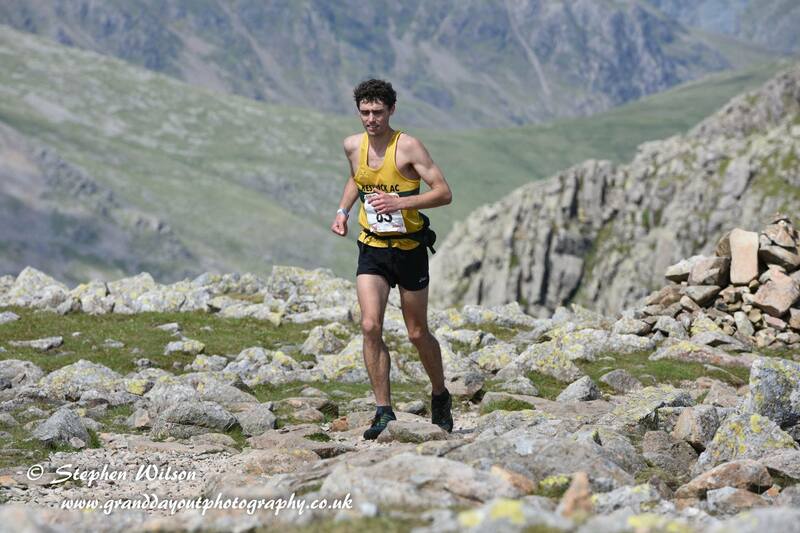 Carl Bell was a brilliant first, 10 min ahead of the second runner. He was, as ever, ably supported by James Appleton, Sam Stead, Steve Heb and Mark Lamb who sadly suffered badly from cramp on this occasion. There was also excellent club support from John, other John, Lee, Rupert, Mike, Steve, Andy and Jacob. I hope I haven’t missed anyone; there was a sighting of Phil at one point! The women did very well too. 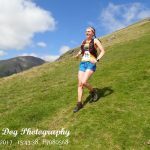 Cat Spurden as a splendid third, Trudi, continuing here stunning season, was 2nd V40, Lesley (completing now 4 out of the 6 classics) was 2nd V60. Vicky and Rachel also had good runs. If anyone else wants to come to the remaining British and English Championship races to run or spectate, it is a good day out. 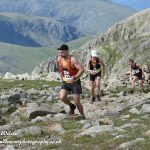 Try Maesgwm Muddle in Wales on August 12th, Castle Carr on September 3rd or Great Whernside on September 23rd.